New technology is also being put into place that will result in quicker and more efficient repairs. 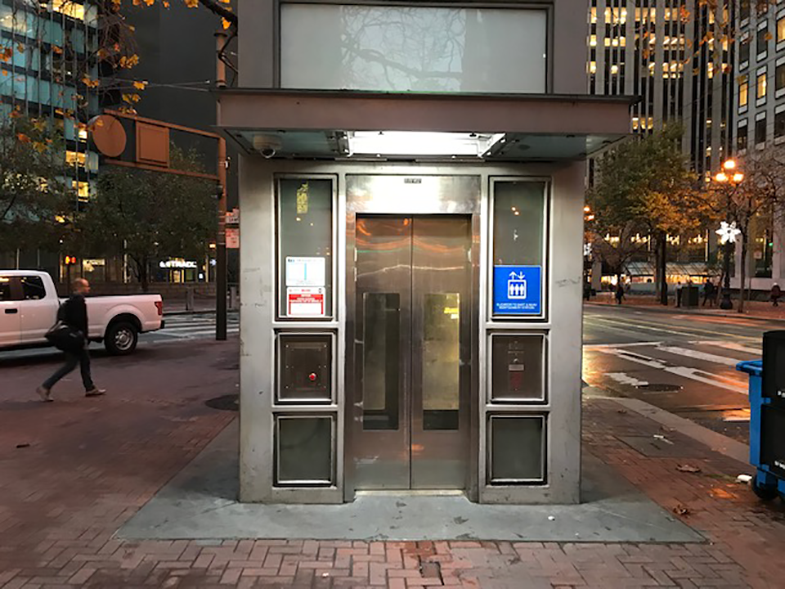 The BART Board in December 2018 awarded a contract to install a Remote Monitoring System on 83 elevator and escalator units at six of the busiest stations. The remote monitoring system is expected to minimize downtime for elevators and escalators by providing technicians — and the public — with real-time information when a unit has a problem. “The No. 2 priority is platform escalators in our busiest stations, which are essential for safety,” Lemon said. One 10-car train can off-board more than 1,000 people at one stop, and at peak commute, trains are coming every few minutes to stations like Embarcadero and Powell. 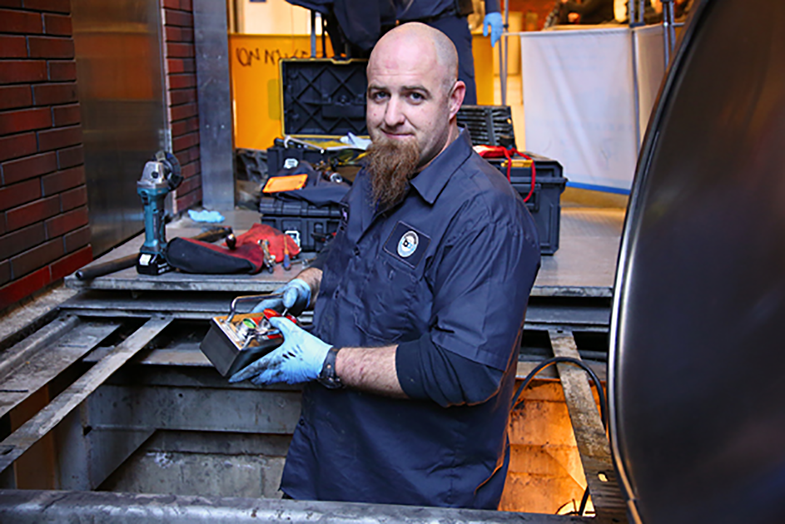 One recent chilly December day, the overnight repair squad was handing off to the morning crew at the elevator/escalator shop headquarters. At 6:27:22 AM when an Out-of-Service report was generated that would lay out the day’s priorities, there were 4 elevators and 12 escalators out of service. That day, of the 4 out-of-service elevators, 2 were out for a modernization project at Pleasant Hill Station — if there is ever a “good” outage, that’s the kind, for planned maintenance, when there is ample time to ensure redundancy if possible, put out bulletins notifying riders, and when the ultimate outcome will be a more modern, reliable customer experience – a solid improvement worth the inconvenience. Then there were the escalators. On this recent morning, the 12 out-of-service escalators included two that were undergoing planned maintenance — one street-level at Embarcadero for a controller renovation; another was platform-level at Coliseum for an earthquake retrofit. 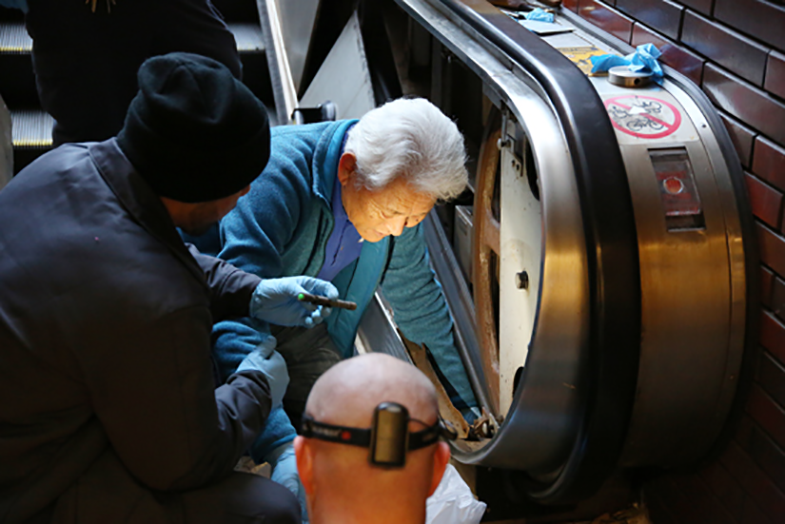 “We’re still using 45-year-old equipment on a majority of our escalators,” Lemon said — 77% date to the original machines installed a generation ago. Ideally, public transit elevators and escalators operating within this capacity, in such an harsh environment, should receive a scheduled schematic planned phased renovation every 15 to 20 years. Full replacement of each elevator and escalator should be accomplished within 40 to 45 years.